If you are moving factories and need to relocate your spray booth our service team can get you from A to B. Its more than just pull down and put back up. 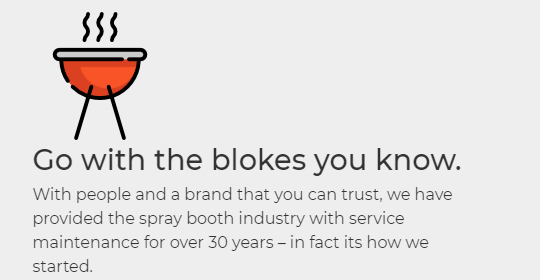 When relocating a spray booth our team looks at its condition, compliance and feasibility to move the booth in a economical way. We can safety and professionally dismantle the booth, move it to its new location and then re-install. During this process our team will assess parts that would need to be replaced which can be quickly manufactured in our factory and fitted. Compliance is also assessed with any control system or gas upgrades identified. With a team of experienced Gas Technicians and electrical techs, TRUFLOW can bring the booth up to standard during this process. It is important to understand that much of this cannot be properly identified until the spray booth comes down so relocations with complete certification are not typically costed as turn key unless we are 100% sure of their age and compliance. Please speak to one of our sales reps to assist with a price on any relocation, the quotes will nominate exact scope and exclusions.